What does it mean when the nicest person in politics is suddenly calling you out? 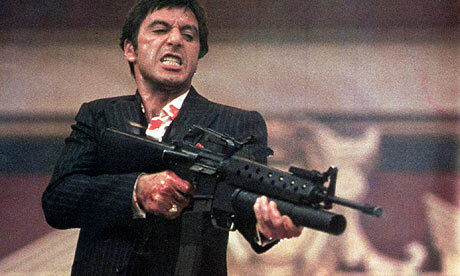 You’ve been a bad boy Tony. 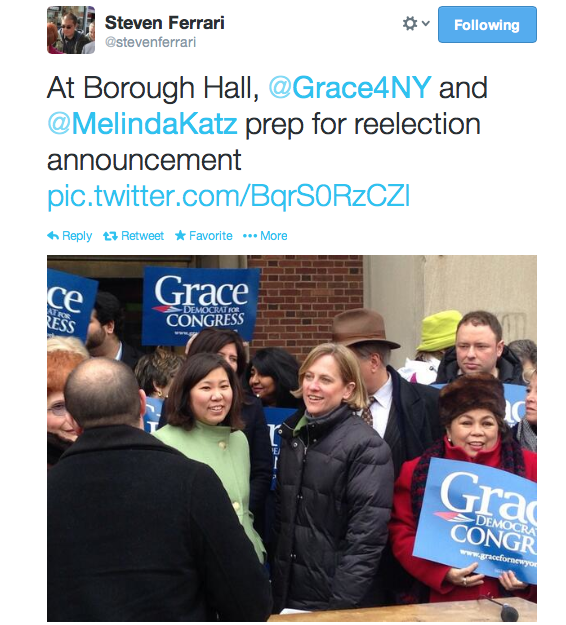 At her campaign announcement, Grace Meng said how deeply disappointed she was with Avella’s switch to the IDC. This means a little more than at first glance: Meng is an optimist known for her sincerity, warmth, and candor to everyone – even her political enemies – which comes in part from longstanding roots in her hometown district and an old school sense of respect. Grace gives a mother’s touch to everything, sort of like the district’s ever-watchful matriarch, always reluctant to scold you in public, so when she spoke of her feelings during a press conference about Tony Avella and his IDC debacle (an old colleague mind you), we couldn’t help but feel like our mother just gave us that look of REAL disappointment. John Liu wasn’t happy about Tony either, but it’s Grace’s comments we should be mindful of, no matter how delicate. [From The Politicker] State Senator Tony Avella’s decision to join the Independent Democratic Conference is irking ex-Comptroller John Liu and Congresswoman Grace Meng. 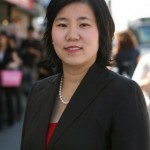 Mr. Liu and Ms. Meng–who like Mr. Avella, are Democrats hailing from northeast Queens–criticized Mr. Avella when asked about about his recent move to join the breakaway conference Democrats governing the State Senate with the Republican Party. Grant Lally certainly didn’t want to answer any questions as you will see in the video and he definitely did not like being filmed in a public forum. Not exactly the makings of a Congressman, or is it? Full transcript below. Why does the FEC penalize candidates? Because that’s what they do, at least according to Grant Lally, a Congressional candidate who is very familiar with illegal campaign contributions. According to the legend of Achilles, as a baby Achilles was dipped into the river Styx in order to make him invulnerable by his mother Thetis. It was a smart move; it made Achilles strong, seemingly invincible to his enemies who cowered at the mere mention of his name, however his heel wasn’t covered by the magical water and thus the supposedly invulnerable Achilles – despite his strength and prowess in battle – had one fatal weakness: his heel. And as fate would have it, he was shot and killed by an arrow straight through his Achilles’ heel. Grant Lally, like Achilles, has a fatal weakness: he paid off the government when the Federal Elections Commission fined him $280,000 for accepting illegal campaign contributions from his parents, and then lied about it. And now, seeking public office yet again, he won’t talk about it, but he’ll be sure to accuse you of being a Democrat if you ask. It’s all about character and integrity in this race, and so it will be a recurring question in the campaign because it’s like a downright admission of his guilt. After all, why would Lally pay the fines (one of the largest fines ever in FEC history) if he didn’t do anything wrong? What would stop him from doing it again? This is really serious. But that’s not what this post is about. Rather, it’s about a potential federal elected official unwilling to answer questions at a public forum. So how can voters trust him? Will he dodge ALL questions about the matter? Nevertheless, in the video Queens-Politics contributor, Jack Oneil was one of the few brave citizens to actually speak up at a civic forum in Forest Hills where he questioned Lally directly about the fines, his payoff, and why exactly he didn’t fight them. Lally, in return, stonewalled. GL: (regarding exposure of his FEC fines) ….This is what they do. JO: Where I’m coming from is as a very successful, high-profile attorney who has political ambitions and political experience and all the rest, a $280K fine, or $250K, or $300K whatever it was, a settlement, I mean I think if it was me and the FEC was suing me and I had a big successful political law firm…. GL: You’re not filming me right now are you? JO: I were I were a big..
GL: Could you not film me? I’d prefer not to be filmed..
JO: Well this is a public forum. GL: Are you a Democrat? Who are you with ? JO: I’m not with anybody , I’m an independent. With such a large fine, I wouldn’t have settled, I would have fought it tooth and nail. 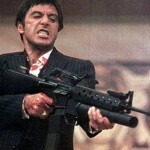 GL: This is not, this is not…..
GL Supporter: CHANGE THE SUBJECT! Republican honcho Grant Lally will tackle Congressman Steve Israel for control of CD-3. 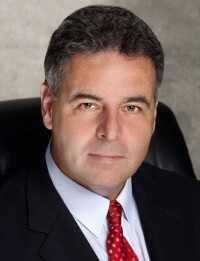 Grant Lally is the managing partner of Lally & Misir, LLP. A top ranked attorney, Mr. Lally is an experienced practioner with an extensive background in commercial and corporate transactions, federal and state litigation, administrative proceedings, and appellate practice. He has practiced law for over twenty years in the New York metropolitan area, and is also a Solicitor in the Republic of Ireland and the United Kingdom. Mr. Lally is an expert in legal and media crisis management and has handled many high profile matters, including those involving international jurisdictional conflicts. He has counseled and represented Heads of State, Government Ministers, CEOs of Fortune 500 companies, and appears regularly on radio and television. Mr. Lally’s past practice has included successfully representing President George W. Bush before the Miami-Dade and Orange County Boards of Election at the 2000 Florida Recounts; handling numerous complex corporate reorganizations involving multi-jurisdictional assets; recovering priceless stolen art from an international auction house; restructuring of clients’ business affairs to reduce their tax and liability exposure; successfully litigating major elections cases and appeals; representing media groups in domestic and international litigation; handling complex domestic relations, divorce, and custody matters; serving as general counsel to numerous corporations in the health care, media, manufacturing, and hospitality industries; and representing parties in multi-national litigation. Lally’s partner, Deborah Misir, has filed legal briefs and participated in the most important litigation before the US Supreme Court in 50 years – the Obamacare case. Mr. Lally graduated with his B.A. with honors from The Johns Hopkins University; his J.D. from Boston University, School of Law; and an LL.M. in International & Comparative Law from Georgetown University, Law Center. At Lally & Misir, LLP, Mr. Lally specializes in handling complex civil litigation and transactions, including business transactional work, corporate and business litigation, international arbitration and litigation, multi-jurisdictional conflicts including business and divorce proceedings, and the media management of these conflicts and transactions. Mr. Lally was Founding Chairman of the Federalist Society for Law & Public Policy Studies, Long Island chapter, and served as Founding Chairman of the New York State Republican Lawyers Association. 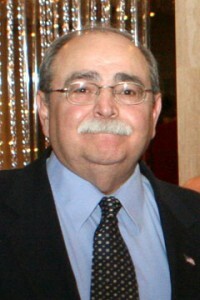 He served on the National Board of Governors of the Republican National Lawyers Association (1990-2008), and on the Board of the Bay of Pigs Brigade 2506 Museum in Miami (2004-2006). He currently serves as National Co-Chairman of The Irish American Republicans, and serves on the Boards of the Emerald Isle Immigration Center, the Plattduetsche Home Society, the Institute for US-Cuba Relations, and the Brehon Law Society of Nassau County. 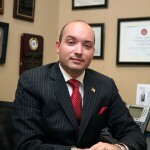 He is a member of the Irish American Bar Association of New York, and the Nassau and Suffolk County Bar Associations. Sal Albanese, a candidate running for Mayor wrote on his FB, “In light of today’s terrible decision by the Supreme Court, I’m calling on the New York Congressional delegation – regardless of party – to unite behind new legislation that guarantees equal access to the polls for every American. Mark Levine, a Democrat for a Manhattan based NYC Council Seat is also calling for action. “The Supreme Court’s blow to the Voting Rights Act leaves us no choice–we must push congress to take bold legislative action to protect every American’s right to vote in free and fair elections. Join the movement. 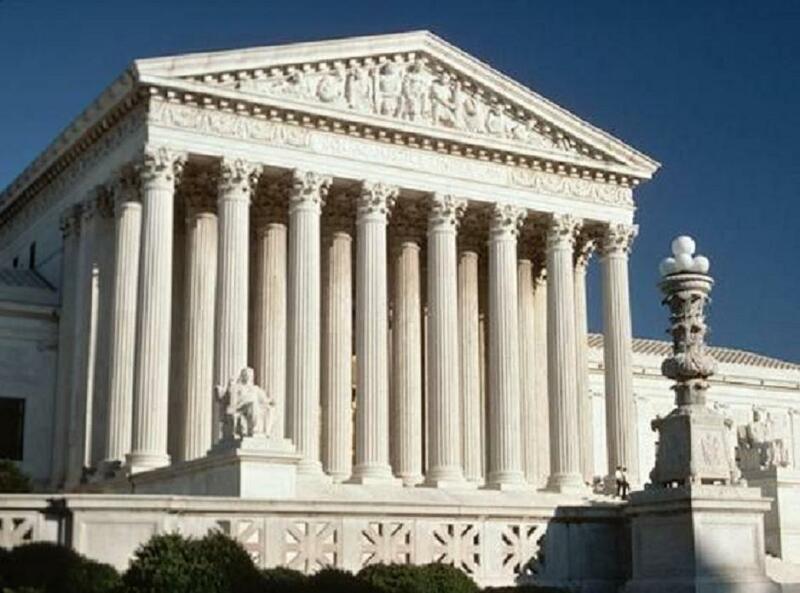 [Huffington Post] The Supreme Court struck down Section 4 of the Voting Rights Act on Tuesday, the provision of the landmark civil rights law that designates which parts of the country must have changes to their voting laws cleared by the federal government or in federal court. 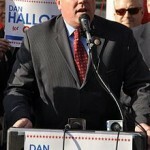 In response to Grace Meng’s recent endorsement by Mayor Bloomberg, her opponent Dan Halloran sent out a press release calling the endorsement another one of Mayor Mike’s ill conceived ideas. Full context in the official communication below. 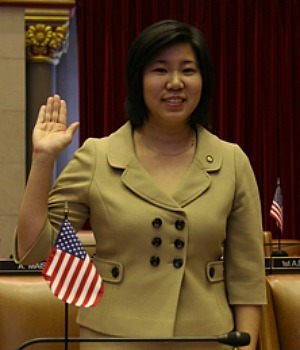 Not surprisingly, the Mayor who bought himself a third term by disregarding the will of the People and overturning elected official term-limits, now moves to endorse Assemblywoman Meng for Congress. It’s no wonder this Super Nanny-State advocate, who champions feel good measures with no shot of fixing real problems, has made this choice. 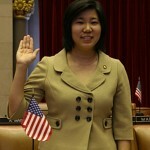 Whether it’s the soda ban, his congestion pricing schemes, or the bike lanes to nowhere, Mayor Mike has found another bad idea for New Yorkers: Grace Meng in Congress. “I have vocally fought the Mayor‘s social engineering pet projects and spending excesses. I’ve called out the Mayor on the City Time scandal long before the others piled on, back when it was “just” a question of being ten-times over budget. I fought to keep Queens free from the Mayor’s Congestion Pricing Plan, which would have cost local residents millions. And despite the Mayor’s billions, I will continue to speak truth to power. Meng, a go-along Democrat won’t stand up for New Yorkers’ right to think for themselves, has voted 99.7% with Shelly Silver in Albany. She certainly isn’t rocking the boat here in New York, and we can’t expect her to in Congress,” Halloran said. 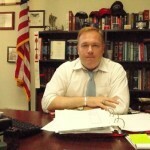 In the past, Halloran has also warned the Mayor’s office of many unconstitutional city plans, such as the so-called Crisis Pregnancy Center Bill that Bloomberg signed into law and was struck down in Federal Court three days after he signed it, which curtailed the free-speech rights of Catholic institutions. He spoke out against the City’s proposed taxi medallion sale, which Halloran pointed out violated the State Constitution and now jeopardizes the NYC Budget revenue projections with a $1.5 billion dollar shortfall. Council Member Halloran also stood up for churches and other religious institutions when the Mayor sought to prevent them from renting off-hours space in publically owned buildings. 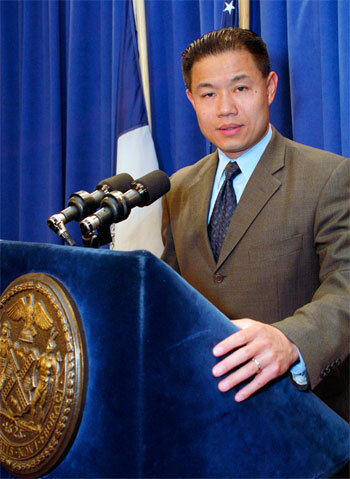 “Bloomberg’s latest suggestion for the City of New York, voting for Grace Meng, is just as detrimental to New Yorkers’ freedom and prosperity as the rest of the Mayor’s ill-conceived ideas. This reminds Queens residents of why New York City is already faced with above average unemployment, high taxes and a huge cost of living along with ever-increasing tolls and subway fares. Our small businesses are struggling more than ever with exorbitant fees and aggressive city ‘revenue’ programs. Our voters need Meng in Congress like they needed the soda ban,” said spokesman Kevin Ryan. 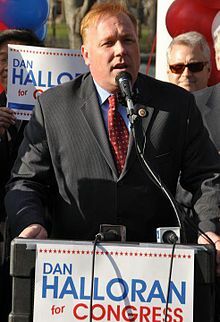 Dan Halloran will continue to fight for New York in the United States Congress, because he’s one of us. 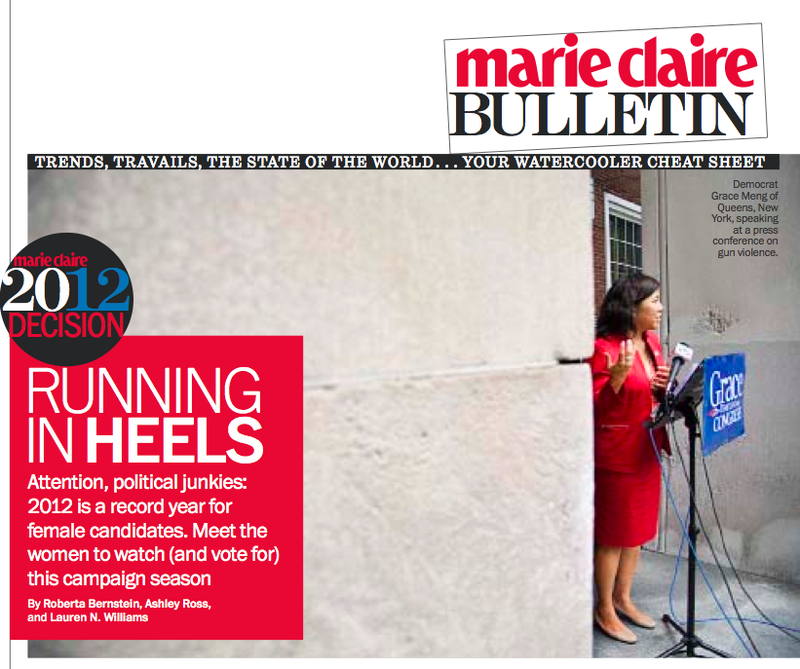 We know we aren’t better off today than we were four years ago; we wish the Mayor and Grace Meng knew that, too. 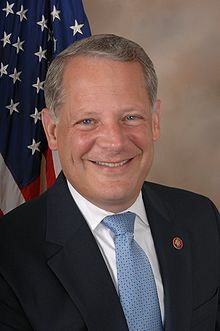 The New York Post reported Congressman Bob Turner, whose district was chopped up during reapportionment, is interested in becoming the Queens County Republican Leader, however the one-term Congressman neglected to mention it won’t be a cake walk. 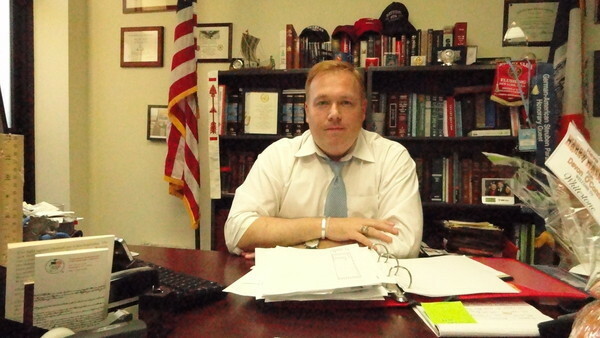 Bob Turner will have to convince leaders in 18 Assembly Districts that he’s the right man for the job, which will prove to be an uphill battle considering Queens County Republican leaders are already confident that incumbent Chairman Phil Ragusa has the bulk of support. 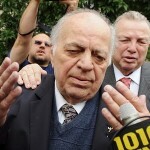 “Phil Ragusa will be re-elected to another term because the vast majority of leaders in the 18 Assembly District appreciate his integrity and hard work these past five years,” according to Queens County Republican Executive Vice Chairman Vince Tabone. Republican candidates have found it difficult to gain a foothold in some parts of Queens, but the GOP remains dedicated to providing an alternative to Queens County Democratic candidates and have since stepped up efforts with youth outreach, voter registration drives, and dedicating full support for Councilman Dan Halloran’s bid for Congress. Even with GOP endorsed candidates, like Juan Reyes, losing this election cycle the official party leadership remains confident. “Is Chairman Crowley seeking reelection since several County endorsed candidates lost?,” asked Tabone. Meanwhile another battle for control of the Party seems to be looming overhead, but one fact remains clear: the Queens County GOP can count on solidarity when it comes to reelecting Chairman Ragusa. In honor of Labor Day, Congressional Candidate Grace Meng issued a statement supporting unions and the working men and women of America. She also throws a well-deserved barb at the union busting activities of the Tea Party. “Labor Day is a day we celebrate the great American work ethic and those hardworking men and women who struggled to provide us with workers’ rights and deliver us today’s landmarks of middle class security, including the 40-hour work week, child labor laws, pensions, a minimum wage, Social Security and Medicare. “Unfortunately, the Tea Party-controlled Republican Congress is making every effort to turn back the clock on decades of labor achievements in favor of tax breaks for corporations and the wealthiest one percent of Americans. Queens, NY – Today, U.S. Senator Kirsten Gillibrand and Assemblywoman Grace Meng were joined at Great Bear Auto Repair, a woman-owned auto repair shop in Flushing, by owner Audra Fordin to announce federal legislation designed to extend targeted tax breaks for small businesses. Women-owned small businesses are among the fastest growing segments of the economy but start with eight times less capital. 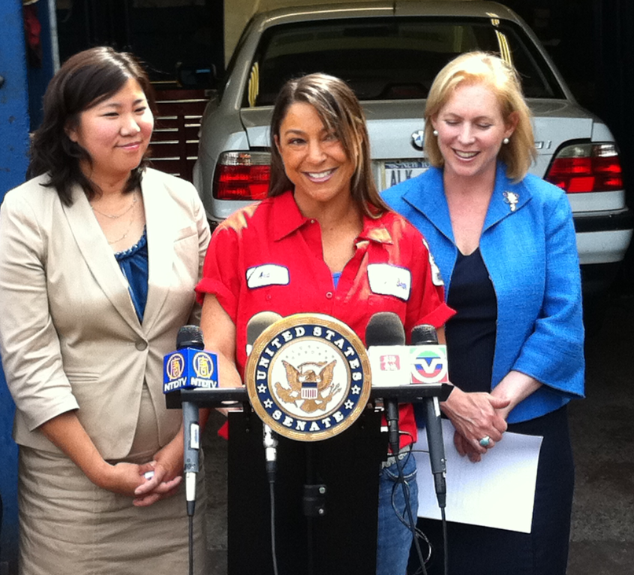 Senator Gillibrand and Assemblywoman Meng urged the U.S. Senate to vote on theSUCCESS Act of 2012, legislation that would provide investors with strong incentives to invest in small business stock, double deductions for start-up expenses, purchase new equipment, and continue tax credits that small businesses can take advantage of. Last fall, Senator Gillibrand held women’s economic empowerment roundtables across the state, and heard firsthand from small business owners. Small businesses play a critical role in the national and local economy, with more than 10 million firms owned by women. Between 1997 and 2007, women-owned businesses added roughly 500,000 jobs, while other private firms lost jobs. In New York alone, more than 30 percent of all small businesses are owned by women. However, women, on average, start their business with eight times less funding than men, making tax credits a critical part of their business plan. To bolster small business growth, Senator Gillibrand has been working with a group of bipartisan women Senators to extend targeted small business tax benefits, which expired at the start of 2012, through at least 2013. These tax breaks are included in a larger bill aimed to help small businesses grow, called theSuccess Ultimately Comes from Capital, Contracting, Education, Strategic Partnerships and Smart Regulation(SUCCESS) Act of 2012. In September 2010, Congress passed theSmall Business Jobs Act, which provided a number of key tax benefits to American small businesses, such as eliminating capital gains tax on investments in small business, and cutting taxes for businesses that invest in new equipment. With roughly two-thirds of new jobs in the U.S. generated by small businesses, extending these tax provisions for businesses is a key way to encourage growth and hiring. These tax benefits include a number of provisions that help give small businesses the ability to grow and expand now by providing incentives to invest in small businesses, helping businesses make new investments in equipment, and extending benefits that help out new start-ups. Tax Relief for Small Business Capital Gains: This provision would provide investors a strong incentive to invest in small business stock. Prior to 2009, 50 percent of the gain of a small business stock was subject to tax. Senator Gillibrand supported legislation that increased this exclusion to 75 percent and the Small Business Jobs Act expanded that benefit to 100 percent of the gain. Eligible small businesses are defined as those with gross assets under $50 million and the stock must be held for at least five years. Doubles Existing Deductions for Start-up Costs for New Small Businesses:New start-ups typically face a number of substantial expenses in their first year they get off the ground, such as permits, consulting costs, expenses in finding clients and custoemrs and other needs, but are limited in the amount of expenses they can deduct that year on their taxes. This provision would extend the increased deduction for start-up expenses, from $5,000 to $10,000. Eligible expenses include studies of potential markets, products, labor markets, or transportation systems; advertisements for the opening of a new business; compensation for consultants and employees undergoing training and their instructors; and travel for the purpose of securing suppliers, distributors, and customers. Extends Section 179 Expensing: This provision allows small businesses to write-off up to $500,000 in tangible property, such as investments in machinery and plant equipment, or other physical equipment (such as refrigerators or stoves for a restaurant or gas pumps for a gas station). General Business Credit Carryback: This provision would allow businesses to continue to carryback (i.e., count against profits from previous years) general business credits for up to five years. This helps businesses who are currently not profitable by allowing them to claim credits against years where they were making money. 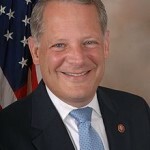 Another measure included in theSUCCESS Act is the Expanding Access to Capital for Entrepreneurial Leaders (EXCEL) Act, which would modify the Small Business Investment Company (SBIC) program to raise the amount of SBIC debt the Small Business Administration (SBA) can guarantee from $3 billion to $4 billion. It would also increase from $225 million to $350 million the amount of SBA guaranteed debt a team of SBIC fund managers who operate several funds can borrow. 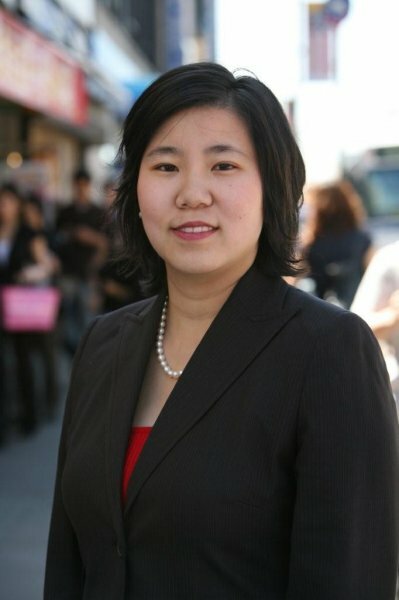 Congressional candidate Dan Halloran (R-Whitestone) today congratulated his Democratic opponent, Assemblywoman Grace Meng, on her victory in last night’s Primary and basically drew the line in the sand. This is his official statement.